TORONTO—Health Canada says voluntary sodium targets for the food industry have failed to significantly reduce the amount of salt consumers are getting in processed foods. The federal department set targets four years ago for cutting sodium in 94 categories of processed food, with a goal of meeting that objective in 2016. 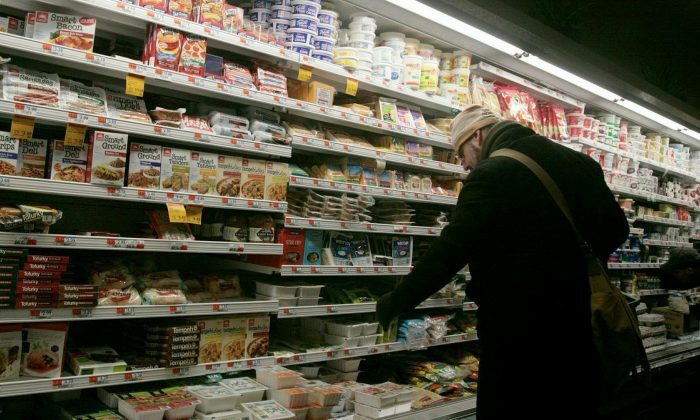 But a federal report shows targets have been met in only 14 percent of the food categories. And in 48 percent of the categories, there was no meaningful progress in curtailing salt levels. The department says excess dietary sodium puts Canadians at risk for high blood pressure, which can lead to heart disease, stroke, and kidney disease. Top contributors to sodium intake include breads, processed meats, soups, cheeses, mixed dishes, and sauces. Statistics show that 80 percent of Canadians overall and 93 percent of children aged 4 to 8 years old consume too much salt, while a quarter of adults have high blood pressure. Health Canada says additional measures are needed to lower sodium in processed foods, and it will be proposing regulations to make it easier for consumers to make healthier choices. “Reducing sodium in foods is an important step towards improving the health of Canadians,” says federal Health Minister Ginette Petitpas Taylor.